Mr. Turquoise Synth (2017) is scored for solo piano and bespoke 1-bit pulse synthesiser, which has been specially designed by Blake Troise (aka PROTODOME) for this project. The work explores how the contrasting sonorities of the piano (acoustic) and synth (low memory electronics) and modes of production (human/computer agency) can be combined and juxtaposed. Initially the duet partners are isolated but gradually become entwined in a playful and dynamic relationship. The prayer in question is part of Simpson’s 1958 play ‘A Resounding Tinkle’, and takes place as a radio broadcast within a scene which is both domestic and ludicrous.It takes the form of a prayer of thanks, but the content is entirely atypical, asking that we rejoice in all manner of unexpected objects, situations and concepts, taking great delight in the most categorical of descriptions and in a complete lack of distinction between the mundane and the exotic. As is typical of Simpson’s work the effect is both ridiculous and sublime, encapsulating the ineffability of an existence somehow both arbitrary and profound. Scenatet was founded by artistic director Anna Berit Asp Christensen in 2008 and moves in a cross-genre field of music, drama and happenings towards areas with yet undefined genre. The ensemble aims to create conceptual art works where music is part of a larger whole. They work with many types of productions, in close collaboration with composers, directors, artists, filmmakers, festivals and art spaces. Scenatet consists of 12 permanent musicians and works with the younger generation of Danish and international composers, including Peter Ablinger, George Aperghis, Kaj Aune, Joanna Bailie, Jeppe Just Christensen, Christian Winther Christensen, Juliana Hodkinson, Jacob Kirkegaard, Simon Løffler, Jessie Marino, Sarah Nemtsov, Marianthi Papalexandri-Alexandri, Niels Rønsholdt, Francois Sarhan, Salvatore Sciarrino, Simon Steen-Andersen, Bent Sørensen, Manos Tsangaris and Jennifer Walshe. Scenatet has performed at festivals such as SPOR, Wundergrund, Klang and Pulsar in Denmark, Ultima, Bergen Festspillene and Borealis in Norway; Transit Festival in Belgium; November Musik in the Netherlands, MaerzMusik and Heroines of Sound in Germany, Nuit Blanche in France, Shanghai New Music Week in China and and the UK’s Huddersfield Contemporary Music Festival. Scenatet is supported by the Danish Arts Council, the Danish Arts Foundation, Conductors Association, KODA, Sonning-Fonden and Wilhelm Hansen Fonden. 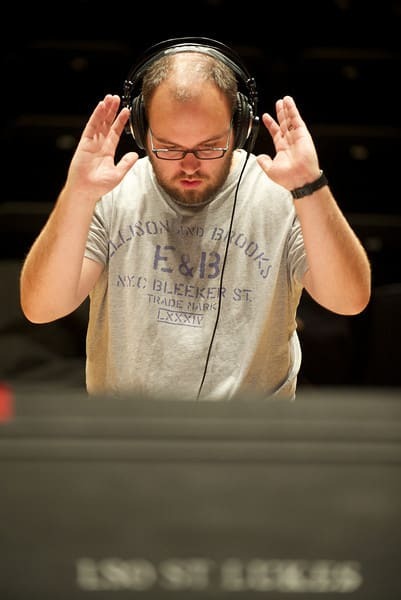 The British composer Matt Rogers has written for and with a host of leading instrumentalists, ensembles and technologists, creating music and installations for concert halls, theatres, galleries and public spaces. 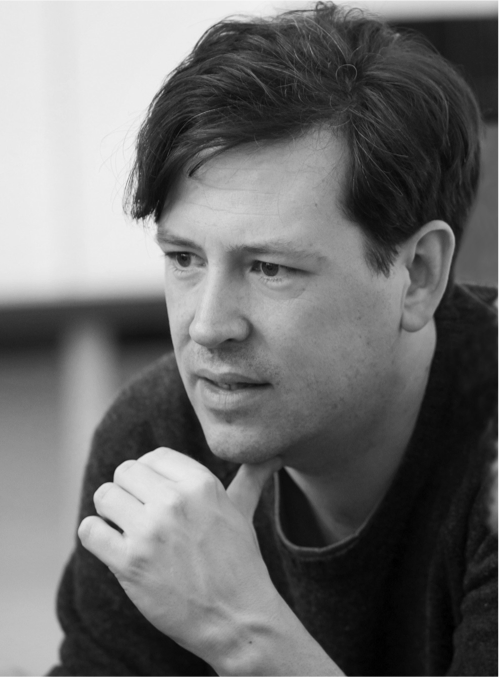 He has received the Paul Hamlyn Foundation Award for Composers and has been Artist in Residence at the Southbank Centre and Tokyo Wonder Site. He was also the first composer to be commissioned by London’s Art on the Underground. Previous commissions include The Virtues of Things for Royal Opera, Aldeburgh Music and Opera North. Rogers is currently collaborating on new work with the American chamber orchestra Alarm Will Sound. David Helbich studied composition and philosophy in Amsterdam and in Freiburg. He has lived and worked in Brussels since 2002. 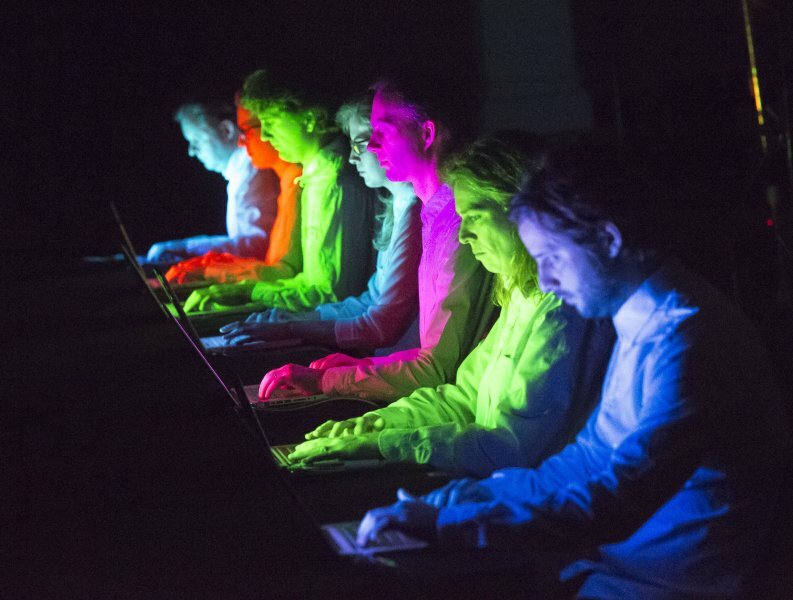 He creates various experimental works on stage, on page, online and in public space. His trajectory moves between representative and interactive works, pieces and interventions, between conceptual work and actions. A recurring interest is in the understanding of an audience as active individuals and the search for an opening up of experiences in an artistically restricted space. 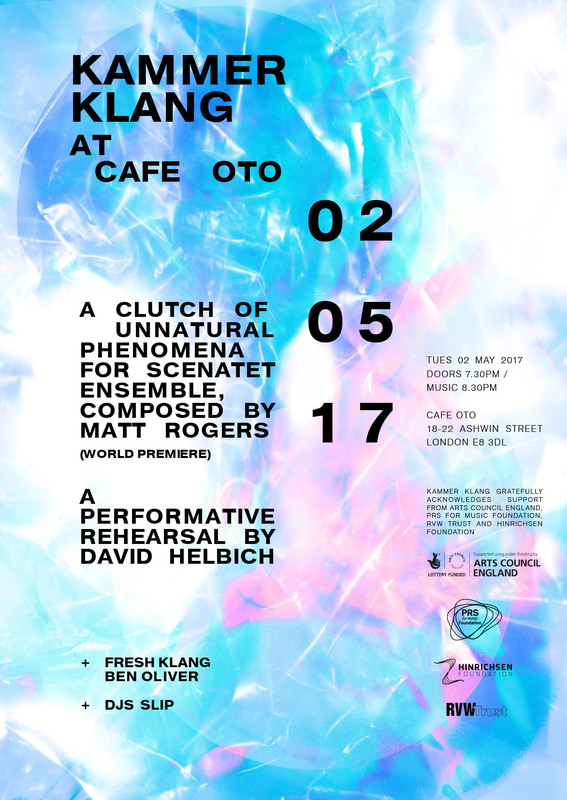 Tonight he will perform No Music – A performative rehearsal. “No Music is no music, but still a musical experience. No music, still for your ears. Since 2010 I have worked on scores for pieces that could be performed right at the spot, in whatever context, as long as one could freely use both hands and had two functioning ears. 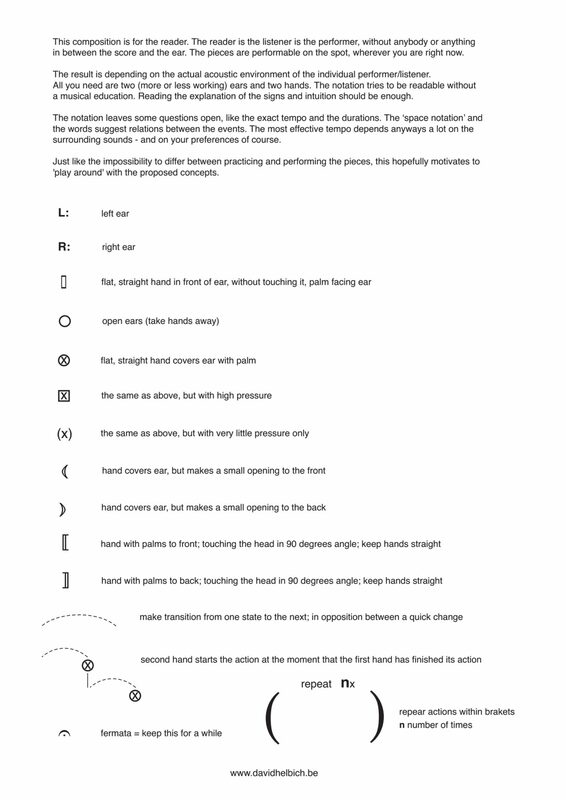 The pieces offer notated situations of organised listening and simple ear manipulations. I understand the this material more as a practice than as a series of composition, even though they can appear as such. Pieces appear in printed form as well as in spontaneous performances or entirely set theatrical or concert performances. Yshani Perinpanayagam is the pianist of The Del Mar Piano Trio, the company pianist of Rambert Dance Company and performer with Showstopper! The Improvised Musical.